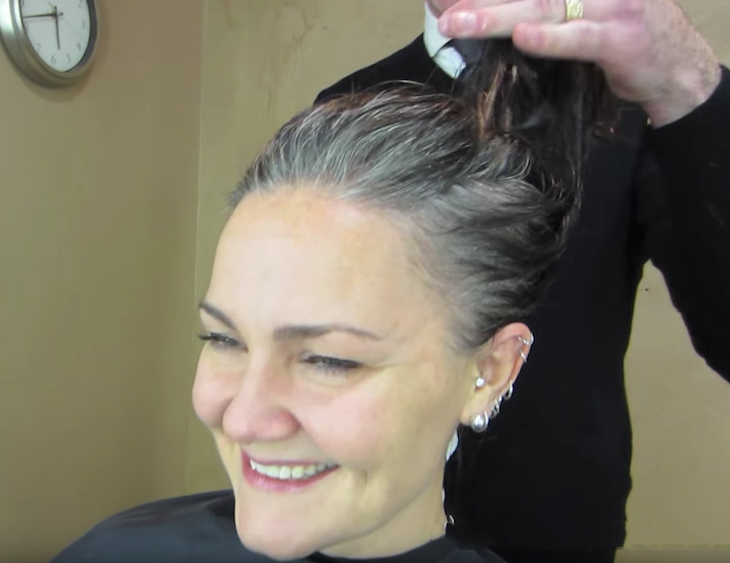 At the age of 41, Kerry Grundhoefer had been colouring her gray hair for years with the use of dyes and treatments that providing more damaging harm than good. 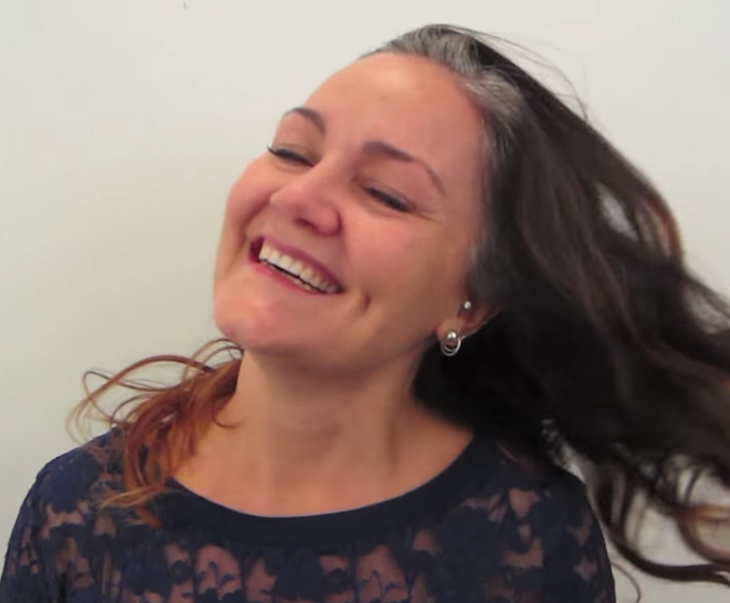 As her sensitivity to these products grew, she realized it was time for a change, and time to spend less time trying desperately to hide her gray hair. Kerry set up an appointment with Christopher Hopkins, or as he’s known on the Internet, The Makeover Guy. She informed him of what she wanted, which was a shocking change from her usual look – cutting off all her hair and going for a stylish, bold pixie cut! She knew that this daring new look would really showcase her bright and large personality. When Christopher first cut off a large amount of hair, it was a little overwhelming, but Kerry stuck through it, and in the end, the result was beyond incredible! She looked completely unrecognizable and amazingly gorgeous, and when she first saw her reflection, she couldn’t help but tear up. But there was one final hurdle to overcome – seeing how Kerry’s husband would like it. Although she knew he would love and support her no matter what she looked like, she wanted him to like it too. Needless to say, he was dazzled by her new look and couldn’t get over how beautiful she appeared with her new haircut! Kerry is now excitedly looking forward to the future with an all-natural, gray look. Good for her!